Disclaimer: I am not responsible for any damage done using this tool. This tool should only be used for educational purposes and for penetration testing. 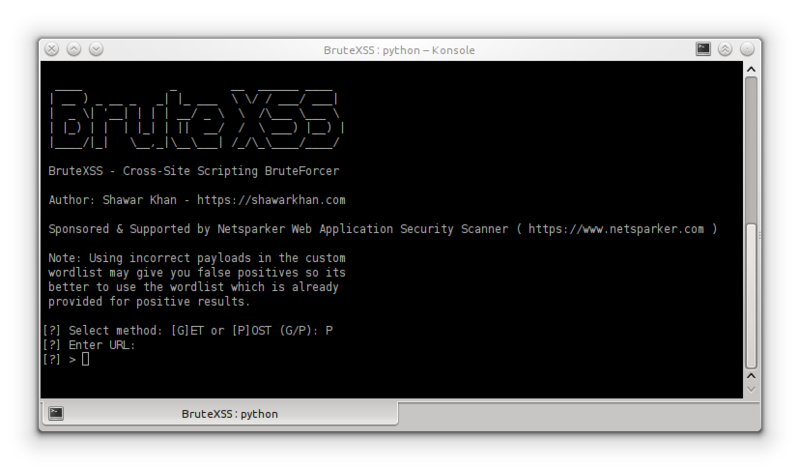 BruteXSS is a very powerful and fast Cross-Site Scripting Brutforcer which is used for bruteforcing a parameters. The BruteXSS injects multiple payloads loaded from a specified wordlist and fires them at the specified parameters and scans if any of the parameter is vulnerable to XSS vulnerability. BruteXSS is very accurate at doing its task and there is no chance of false positive as the scanning is much powerful. BruteXSS supports POST and GET requests which makes it compatible with the modern web applications.